Schematic diagram of the "direct method"
A sub-aperture image created by the "direct method"
We propose a method of high-resolution image synthesis for a light field camera, considering the physical pixel arrangement and sparsity of edges. We use a Lytro Illum camera to obtain 4D light field data (a set of multi-viewpoint images) through a micro-lens array. The light field data are multiplexed on a single image sensor, and thus, the data is first de-multiplexed into a set of multi-viewpoint (sub-aperture) images. 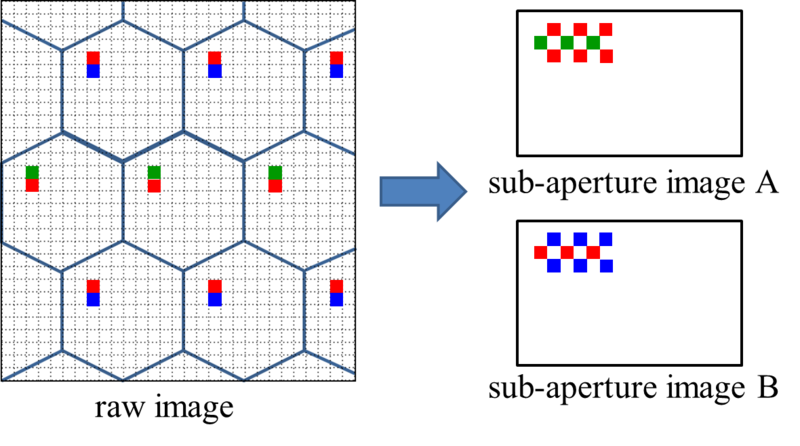 However, the de-multiplexing process usually includes interpolation of the original data such as demosaicing for a color filter array and pixel resampling for the hexagonal pixel arrangement of the original sub-aperture images. If this interpolation is performed, some information is added or lost to/from the original data. In contrast, we preserve the original data as faithfully as possible, and use them directly for the super-resolution reconstruction, where the super-resolved image and the corresponding depth map are alternatively refined. 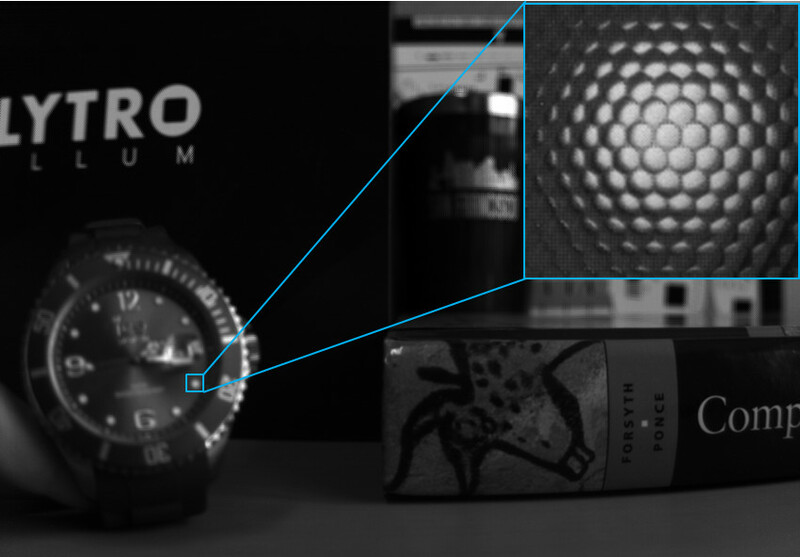 We experimentally demonstrate that our method can achieve higher image quality than that with a standard Light Field Toolbox and a Lytro Desktop Application. Kazuki Ohashi, Keita Takahashi, Mehrdad Panapour Tehrani, and Toshiaki Fujii: "Super-Resolution Image Synthesis Using the Physical Pixel Arrangement of a Light Field Camera", IEEE International Conference on Image Processing (ICIP), NEW-P1.4, Quebec City, Canada, (2015.9.27-30).